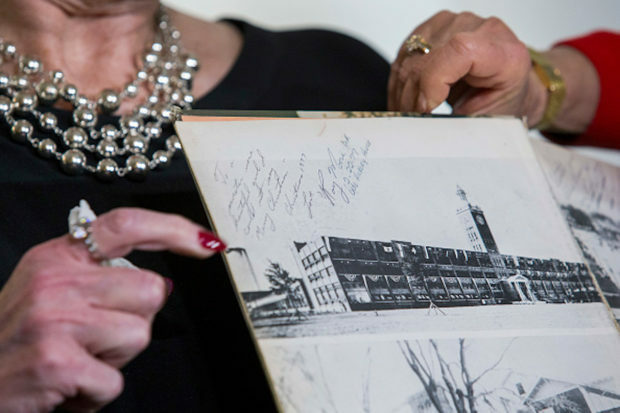 One of Alabama Senate candidate Roy Moore’s accusers revealed Friday she added to an inscription from Moore in her yearbook she presented as evidence of their relationship. Beverly Young Nelson’s lawyer initially presented the inscription, including the date, as a message entirely from Moore, but Nelson told ABC she noted the date and time below his inscription. “He did sign it,” she said in the interview. “And you made some notes underneath?” the ABC host asked. Nelson has accused Moore of groping her in the parking lot of a restaurant where she worked. “We’re going to present evidence that we think is important on the issue whether Roy Moore signed the yearbook,” Nelson’s lawyer, Gloria Allred, told ABC News Friday. Nelson claimed that Moore groped her in the parking lot of a restaurant where she worked in 1977. Moore, 70, would have been 30 at the time of the alleged assault. Moore has called the signature completely false, and has requested a handwriting expert look at the yearbook. Moore’s attorney said that he didn’t want to “make any allegations,” but mentioned that the two “77s” signed in the yearbook, should be looked at. Nelson is reportedly holding a press conference Friday afternoon.